Home Inspections Stephens County | Home Inspections Franklin County | Home Inspections Habersham County | Home Inspections White County | Home Inspections Hall County | Home Inspections Banks County | Home Inspections Lumpkin County | Home Inspections Jackson County | Home Inspections Hart County | Home Inspections Rabun County, Home Inspections Barrow County, Home Inspections Madison County, Home Inspections Clarke County. Home Inspections Oconee County South Carolina, Home Inspections Pickens County South Carolina, Home Inspections Anderson County South Carolina. We provide professional home inspections throughout northeast Georgia, in the following counties: Stephens, Franklin, Habersham, White, Hall, Banks, Lumpkin, Jackson, Hart, Rabun, Barrow, Madison, & Clarke. 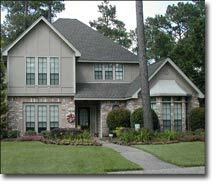 We also provide professional home inspections for South Carolina in the following Counties: Oconee, Pickens, & Anderson. Buying a new home may be the biggest investment you will ever make. Although the process is very exciting, it quickly becomes overwhelming. While the home you have selected may appear to be just what you're looking for, there could be, and often are, potentially serious unknown defects which can make this investment in your future a costly one. Having your new home professionally inspected by a certified home inspector as early as possible in the buying process can save you thousands of dollars on items which you may be able to have the seller or builder correct before closing. Our home inspection company is dedicated to providing you with valuable information about your new home. We thoroughly inspect all major components of the property to expose unknown defects and advise you about future maintenance about your home once the purchase is complete. Purchasing one of our relatively inexpensive home inspections will give you the information you need to make an informed decision. Our coverage area in Northeast Georgia includes Banks County, Barrow County, Clarke County, Elbert County, Franklin County, Gwinnett County, Habersham County, Hall County, Hart County, Jackson County, Madison County, Rabun County, Stephens County, and White County. Our South Carolina coverage area includes Anderson County, Oconee County, and Pickens County. Our home inspection coverage area is listed below by county and city. We also do home inspections in all unincorporated cities within these counties, even though they may not be listed below, as well as home inspections in the Lake Hartwell GA and Lake Hartwell SC areas. Call 706-886-5185 or send email for questions or to schedule an appointment for a home inspection.